Thank you for visiting our site. We dispatch items from japan. We provide our services based on our motto. Your complete satisfaction is our ultimate goal. This item is 100% authentic, Japanese goods. Please be assured that we package each item carefully without causing damage. 1.2m detachable cable (A2DC: Audio Designed Detachable Coaxial). 13mm x 2 "DUAL PHASE PUSH-PULL DRIVERS". Output Sound Pressure Level: 110dB/mW. Frequency Response: 5 - 45,000Hz. Input terminal: A2DC connector jack. 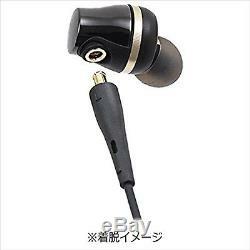 3.5mm L-shaped gold-plated stereo mini. 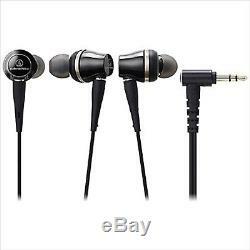 Include: Ear tips (XS, S, M, L), 1.2m detachable cable. The item "Audio technica ATH-CKR100 Sound Reality In-Ear Headphones Hi-Res NEW from japan" is in sale since Thursday, November 9, 2017. 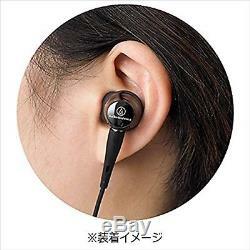 This item is in the category "Consumer Electronics\Portable Audio & Headphones\Headphones".t" and is located in Ishikawa. This item can be shipped worldwide.